One would be forgiven for thinking that the famously traumatic 2016 also claimed BWISP – my last post was in November 2015. But although my silence was in part due to a breast cancer diagnosis in June, I received the All Clear two days before Christmas, and attended a New Year’s Eve party full of Palestinian rights activists, so rest assured 2016 didn’t have things all its own way: both I and the organisation are still kicking. Though perhaps there won’t be the need to leap into action: as I said at the party, it looks like BWISP has been so effective that either Israel hasn’t dared to offer another British writer a prize, or no British writer has wished to accept one! 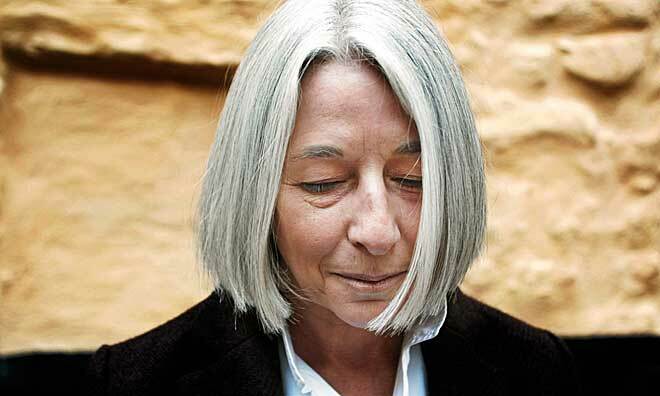 Joking aside, my illness, which followed a period of travel in the spring, sadly meant that I did not post a timely tribute to one of our most renowned members, Jenny Diski, whose public journey with cancer ended in her death on April 28th. Diski hated being called a ‘fighter’ of cancer – and even ‘journeyer’ probably made her wince – but she did not shy away from political conflict: as one of the 94 signatories to John Berger’s Dec 2006 letter to The Guardian, she joined the first international roll-call of supporters of the Palestinian Academic and Cultural Boycott of Israel (PACBI), driving her legendary acumen straight into the mast of the Palestinian cause – and into the side of Zionism. Later she emailed support to BWISP in its early days. We never met, but also exchanged Tweets on the subject of fish and chips: a Jewish import to the East End, I had read. She replied: “We had cold fried fish on Fridays. & the Nautalus in NW6 serves fish battered with matzo meal. Gefilte fish never caught on tho”. I will be adding In Gratitude, Diski’s cancer memoir, to my growing collection of the genre, and now I’m recovering, I’ll make a trip to the Nautalus in her honour. Diski’s loss is still keenly felt, and the death of BWISP ‘patron saint’ John Berger on January 2nd, felt like 2016’s final vicious swipe at the common good. Berger was a literary and political gentle giant, a man who combined an undimmed sense of wonder with moral leadership all the more persuasive for his playful nature. Like Diski’s, Berger’s death is summoning tributes from the most august journals; like hers too, few if any of these literary obituaries mention his deep commitment to the academic and cultural boycott. Yet, as the heartfelt tribute from PACBI makes clear, Berger was first among the ‘first responders’ to the boycott call and, as as author of the 2006 letter to The Guardian, was instrumental in ensuring the campaign gained traction amongst writers and artists. He too lent BWISP personal support, lending his name and telephoning me from France to discuss strategy. In particular he wanted to ensure that I was clear on his position: that the boycott did not apply to brave Israeli dissidents – or indeed to any Israeli as an individual. The conversation made me even keener later on to participate in ‘Redrawing the Maps’, the 2012 London celebration of Berger’s 86th birthday, for which I organised the event ‘Letter(s) To Gaza’, encouraging members of the public to write to people in the besieged strip. The panel included Palestinians from the West Bank and Gaza – two young men who, as one commented, could never have met in their homeland, travel between the two territories being forbidden by Israel. Although himself absent, Berger occasioned this joyful reunion – just as his work will continue to generate fruitful encounters now he himself is gone. With what I came to learn was his characteristic generosity, Berger also took a kind interest in my poetry, yet another genre of literature he breathed like mountain air. His Collected Poems (Smokestack Books, 2014) is dedicated to his late wife Beverly, ‘mistress of each page’, who also deserves our great respect and gratitude. Fondly remembered here by a high school friend for her impeccable taste in protest music, as the recent BBC documentary in honour of John’s ninetieth birthday makes clear, Beverly was not just simply Muse, but amanuensis. A librarian by profession, she gave John a vast amount of practical support, from typing his manuscripts to handling his voluminous correspondence. As a recipient of emails from her I know he could not possibly have accomplished all he did without her help. I would like to make a few personal remarks about this world-wide appeal to teachers, intellectuals and artists to join the cultural boycott of the state of Israel, as called for by over a hundred Palestinian academics and artists, and – very importantly – also by a number of Israeli public figures, who outspokenly oppose their country’s illegal occupation of the Palestine territories of the West Bank and Gaza. Their call is attached, together with my After Guernica drawing. I hope you will feel able to add your signature, to the attached letter, which we intend to publish in national newspapers. The boycott is an active protest against two forms of exclusion which have persisted, despite many other forms of protestations, for over sixty years – for almost three generations. During this period the state of Israel has consistently excluded itself from any international obligation to heed UN resolutions or the judgement of any international court. To date, it has defied 246 Security Council Resolutions! As a direct consequence seven million Palestinians have been excluded from the right to live as they wish on land internationally acknowledged to be theirs; and now increasingly, with every week that passes, they are being excluded from their right to any future at all as a nation. Boycott is not a principle. When it becomes one, it itself risks to become exclusive and racist. No boycott, in our sense of the term, should be directed against an individual, a people, or a nation as such. A boycott is directed against a policy and the institutions which support that policy either actively or tacitly. Its aim is not to reject, but to bring about change. How to apply a cultural boycott? A boycott of goods is a simpler proposition, but in this case it would probably be less effective, and speed is of the essence, because the situation is deteriorating every month (which is precisely why some of the most powerful world political leaders, hoping for the worst, keep silent.). How to apply a boycott? For academics it’s perhaps a little clearer – a question of declining invitations from state institutions and explaining why. For invited actors, musicians, jugglers or poets it can be more complicated. I’m convinced, in any case, that its application should not be systematised; it has to come from a personal choice based on a personal assessment. For instance. An important mainstream Israeli publisher today is asking to publish three of my books. I intend to apply the boycott with an explanation. There exist, however, a few small, marginal Israeli publishers who expressly work to encourage exchanges and bridges between Arabs and Israelis, and if one of them should ask to publish something of mine, I would unhesitatingly agree and furthermore waive aside any question of author’s royalties. I don’t ask other writers supporting the boycott to come necessarily to exactly the same conclusion. I simply offer an example. What is important is that we make our chosen protests together, and that we speak out, thus breaking the silence of connivance maintained by those who claim to represent us, and thus ourselves representing, briefly by our common action, the incalculable number of people who have been appalled by recent events but lack the opportunity of making their sense of outrage effective. As the IDF bombs the captive civilian population of Gaza for the third time in six years, and initiates a ground invasion of the besieged territory, BWISP members John Berger, Selma Dabbagh, Ghada Karmi, Nur Masalha, China Mieville and Robin Yassin-Kassab have joined the Palestinian BDS Committee’s call for a military embargo on Israel. Signed by six Nobel peace laureates and public figures including Judith Butler, Brian Eno, and Federico Mayor Zaragoza, Former UNESCO Director General, the Open Letter was published today in an abridged version in The Guardian. Chile, mentioned in the letter, has already suspended trade negotiations with Israel in protest over the current round of atrocities, and is considering withdrawing its ambassador. To add your name to the call, please sign here. Israel has once again unleashed the full force of its military against the captive Palestinian population, particularly in the besieged Gaza Strip, in an inhumane and illegal act of military aggression. Israel’s ongoing assault on Gaza has so far killed scores of Palestinian civilians, injured hundreds and devastated the civilian infrastructure, including the health sector, which is facing severe shortages. Israel’s ability to launch such devastating attacks with impunity largely stems from the vast international military cooperation and trade that it maintains with complicit governments across the world. Over the period 2009-2019, the US is set to provide military aid to Israel worth $30bn, while Israeli annual military exports to the world have reached billions of dollars. In recent years, European countries have exported billions of euros worth of weapons to Israel, and the European Union has furnished Israeli military companies and universities with military-related research grants worth hundreds of millions. Emerging economies such as India, Brazil and Chile, are rapidly increasing their military trade and cooperation with Israel, despite their stated support for Palestinian rights. By importing and exporting arms to Israel and facilitating the development of Israeli military technology, governments are effectively sending a clear message of approval for Israel’s military aggression, including its war crimes and possible crimes against humanity. Israel is one of the world’s leading producers and exporters of militarized drones. Israel’s military technology, developed to maintain decades of oppression, is marketed as “field tested” and exported across the world. Military trade and joint military-related research relations with Israel embolden Israeli impunity in committing grave violations of international law and facilitate the entrenchment of Israel’s system of occupation, colonisation and systematic denial of Palestinian rights. We call on the UN and governments across the world to take immediate steps to implement a comprehensive and legally binding military embargo on Israel, similar to that imposed on South Africa during apartheid. Governments that express solidarity with the Palestinian people in Gaza, facing the brunt of Israel’s militarism, atrocities and impunity, must start with cutting all military relations with Israel. Palestinians today need effective solidarity, not charity. Saturday November 10th, as part of Redrawing the Maps: A John Berger Free School, BWISP co-ordinator Naomi Foyle and Palestinian human rights worker Saleh Hijazi co-hosted a very special event, Letter(s) to Gaza. The event allowed the audience to converse with Palestinian speakers Ahmed Safi (Gaza and Oxford Brookes University), Ahmad Alaraj (The Freedom Theatre) and Selma Dabbagh (British Palestinian novelist), then write their own letters to the besieged population of Gaza, to be posted on the Letter(s) to Gaza blog. The letters will be circulated in Gaza via Palestinian students and their families, courtesy of Dr Haidar Eid of Al-Aqsa University, whose 2009 open letter to Barack Obama challenges the American President to end his indifferent lip service to the plight of the Palestinians, and hold Israel to account for the suffering caused by the blockade. The Letter(s) to Gaza event was a response to John Berger’s video reading of Ghassan Kanafani’s short story ‘Letter from Gaza’, which can also be read here. ‘Letter from Gaza’ is a haunting portrait of the courage of Palestinian children. Written over forty years ago, it is no less relevant today, when as I write reports are coming in of four teenage boys killed in Gaza by IDF shelling of a football playground. Two were killed in the initial assault; two in a second shelling when they ran to help their friends. The mother of one boy gave birth to a new son today, and named him after his murdered brother. On Remembrance Sunday here in the UK, one could read no more searing account of the impossibility of forgetting the dead. In the context of such brutal repression, hoping to make a difference by writing letters to people one has never met may seem a fey notion. But Ahmed Safi told us that people in Gaza are so isolated any kind of friendly contact from the outside world would be hugely welcomed. He also told us of the spirit of the people is strong, that they smile in the face of relentless IDF attacks, and maintain a vision of freedom from the blockade that has crippled their economy and infrastructure. His own grandfather spoke for sixty years of his home in Jaffa, which he was forced to flee in the Nakba in 1948. This tenacious remembrance, Ahmed realised after his grandfather died, was not despair but a kind of hope: the hope of return. Ahmad Alaraj spoke of how touched he, as a Palestinian forced to live in the West Bank, was to meet Ahmed Safi. He also talked about the Freedom Theatre’s recent Freedom Bus project, a travelling theatre initiative which included a video link to Gaza, to gather stories which actors then performed for audiences in the West Bank. Again, to feel a sense of connection with those imprisoned in Gaza had been a very moving experience for him. Selma Dabbagh spoke of her own love of Kanafani’s stories, and her recent experience judging Gazan blogs, which she admired greatly, but felt did not always convey the lively spirit of their authors, whom she’d met on her visit to Gaza for the 2012 Palestinian Festival of Literature. Perhaps this disconnect between personal and public expression is the result of cultural factors; perhaps it also indicates what the huge responsibility it is for a young person to speak as a member of a suffering population in a public forum, unsure of who is listening. At the event, in a discussion facilitated by BWISP member Jonathan Rosenhead, we discussed the political situation in Gaza – including Saleh Hijazi’s investigation of human rights violations by Hamas, and Ahmed Safi’s work in the international aid industry, which he feels does not address the cause of the crisis, the Occupation; but we also stressed that a letter was a personal document, and that we hoped to encourage an intimate exchange based on mutual interests and curiosity about the other. We wanted to allow people here to ask questions and offer support, and for Gazans to feel free to reply and share something of their daily lives, the routines and dreams that keep them going. Something wonderful happened in the room itself, as Palestinians who cannot meet in their own homeland were brought together, while the audience overcame some initial shyness and wrote intensely for half-an-hour, resting their papers on copies of the John Berger exhibition catalogue. When we shared the gist of our letters, it appeared we had all found a personal path into our correspondence. One man wrote about Palestinian cinema; a woman wrote a letter to a little boy who had open heart surgery in her London hospital six years ago; another related the émigré history of her own Finnish family to the Palestinian refugee experience of losing one’s home; another man had recently been hit by a car, and discovered that his surgeon was a dedicated member of Medical Aid of Palestine. I wrote about my efforts to get to Gaza in 2009, and recalled my dream of co-editing a collection of poetry from Gaza. As we parted, it felt like not the end of the event, but the beginning of a conversation. Finally, Saleh and Naomi would like to thank the organisers of Redrawing the Maps, a week of events, screenings and discussions celebrating the work of John Berger. 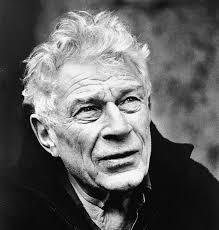 We would also like to thank John Berger himself, whose long, warm and incisive commitment to Palestine, and bold early advocacy of the cultural boycott of Israel, have laid the foundation for all BWISP’s campaigns and activities. Omar Barghouti of PACBI has just issued this update on the academic and cultural boycott campaign, mentioning the BWISP letter and many other international public displays of support. Thanks to PACBI for the links inthis post. The following letter expresses the support of the signatories for the cultural and academic boycott of Israel. A shortened version appeared in the IoS 6.6.10. The murder of humanitarian aid workers aboard the Mavi Marmara in international waters is the latest tragic example of Israel’s relentless attacks on human rights. But while violently preventing the free passage of medical, building and school supplies to Gaza, Israel continues to pride itself as a highly cultured, highly educated state. In solidarity with Palestinian civil society and its call for a Boycott Divestment and Sanctions campaign against Israel, we the undersigned therefore appeal to British writers and scholars to boycott all literary, cultural and academic visits to Israel that are sponsored by the Israeli government, including those organised by Israeli cultural foundations and universities. (This boycott does not include courageous independent Israeli organisations who openly oppose the occupation.) We also ask that writers, poets and British funding bodies actively support Palestinian literary events, such as the Palestinian Literary Festival and the Palestinian Writing Workshop. Materially and ideologically, state-sponsored Israeli academic and cultural events both prop up and mask the continuing brutal occupation of Palestine. Israeli universities are key players in the creation and dissemination of government policy, and while some Israeli cultural foundations may promote ‘dialogue’ between the two peoples, there can be no true dialogue when one party is a military superpower and the other a nation of second-class citizens, refugees and virtual prisoners. Appearing as an international guest at all such Israeli cultural and academic events helps to divert attention from, and normalize, Israeli war crimes in Gaza; the annexation of East Jerusalem; and the on-going illegal settlement of the West Bank. Such appearances will also help to normalise Israel’s recent abhorrent military actions at sea. More information on the cultural and academic boycott of Israel may be found at http://www.pacbi.org and http://www.bricup.org.uk. But in brief, we the undersigned do not wish to lend our presence or approval to cultural or academic events underwritten by the State of Israel, nor do we wish to help sustain the deliberately fostered illusion of moral and military parity between the two actors in this conflict. Rather as Britons and British residents, we believe that we have a historical and moral obligation to support the legitimate aspirations of the Palestinian people in their struggle for long-denied peace, justice and self-determination.